Christoph Schröder specialises in patent prosecution and patent litigation, as well as providing client advice in the medical technology, automotive technology, telecommunications, electronics and mechanical engineering fields. 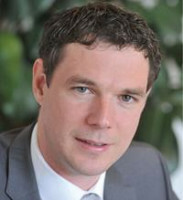 Dr Schröder is routinely involved in various major series of patent disputes, including infringement procedures before the district and appeal courts and nullity procedures before the Federal Patent Court. In addition, he has vast experience in patent prosecution, including the drafting of German, European and international patent applications and the handling and coordination of procedures throughout the world. He has represented his clients in a large number of opposition procedures before the German Patent and Trademark Office, the Federal Patent Court and the European Patent Office. Dr Schröder studied electrical engineering at the Braunschweig Institute of Technology and received his doctorate from the Georgia Institute of Technology in 2001. In 2005, having spent time working within the medical technology sector conducting research concerned with MRI devices, he joined Maikowski & Ninnemann. He has been a partner at the firm since 2010. Dr Schröder is a member of the German Association for the Protection of Intellectual Property, the International Association for the Protection of Intellectual Property, the Licensing Executives Society and the German Association of Intellectual Property Experts.